Exercise is important but fitness is a combination of good exercise and a healthy diet. Balance is important if you want to eat healthy, since you need a variety without getting too much of a single nutrient or too many calories. Here are some important tips for healthy eating that you and your family should use. 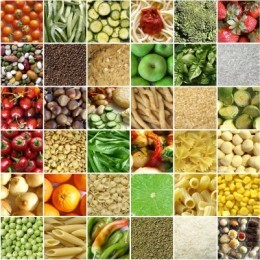 There are a variety of nutrients that your body needs and there is no one food that has all of them. This is why it is important to eat a variety of foods that have good nutrients in them. This includes a good combination of veggies, fruits, meats, dairy, grains, and other types of protein. Many people don’t get as many fruits and veggies that they need. Each day you should have 2-4 servings of fruit and you should have about 5 servings of veggies. Learn how to fit these important foods into your diet. Sometimes the problem isn’t what you are eating but how much you are eating. Become familiar with healthy portion sizes. You don’t need a huge amount of foods to get the nutrients you need. Check up on proper portion sizes. You may find out you are eating a lot more than you should. If you want to eat healthy, avoid skipping meals. If you skip meals, you are more likely to overeat at your next meal. It’s better to eat on a regular basis so you don’t overeat and to keep blood sugar at a steady level.